IBM’s Blockchain Unleashed blog asked our Chief Scientist Chris Adkins to delve into how Identify3D has worked to incorporate blockchain into our digital supply chain solution. Blockchain is one of the most commonly referenced and least understood technologies of 2018. Factors such as decentralization, cyber-physical security, and transparency have attracted the manufacturing industry to blockchain. In the world of Industry 4.0, blockchain has the potential to revolutionize the way that data is processed along the supply chain. As the manufacturing industry moves from a physical to a digital supply chain, new technologies such as additive manufacturing (AM) and computer numerical control (CNC) machining are transforming how companies manufacture, distribute and maintain products. Digital manufacturing has led to a shift toward decentralized manufacturing models in which parts are manufactured at the place and time of need. In a decentralized model, design and engineering data passes through many hands, from industrial companies to suppliers and subcontractors. Ensuring the security and integrity of intellectual property is critical to prevent counterfeits, maliciously modified, poor quality or uncertified parts from entering the physical supply chain once parts are manufactured. Identify3D provides design protection, manufacturing repeatability, and secure traceability for digital manufacturing. We enable encryption of designs, couple them with enforceable business and production rules, facilitate secure digital distribution, and provide production integrity all the way to the manufacturing device. Identify3D assures the secure flow of intellectual property throughout the entire digital supply chain, from the design phase to in-field traceability of parts. Identify3D’s blockchain enabled solution will create the backbone for a more connected digital supply chain for software and hardware providers. Our recent innovation incorporates blockchain technology that replaces centralized and proprietary databases with a decentralized open data repository. Within a given blockchain, the cryptographically-secured shared ledger preserves the entire recorded history of transactions and ensures data integrity. 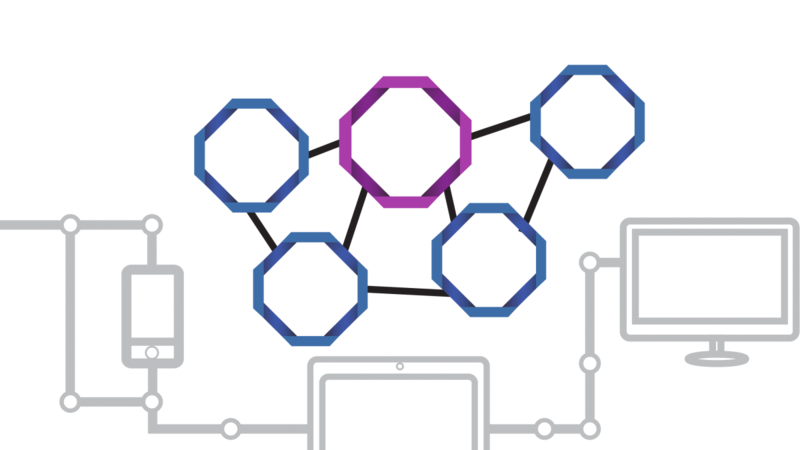 We have implemented the IBM Blockchain Platform Starter Plan with one peer node representing an engineering organization and one peer node representing a manufacturing shop. This structure will emulate an advanced manufacturing supply chain in which an engineering organization will authorize a manufacturing organization to produce a set of parts according to licensing restrictions. Using The Linux Foundation’s Hyperledger Composer we’ve developed two chaincode applications. The first application will issue a license to produce parts, while defining the machine that must be used as well as the number of parts that can be produced. The second application will serve as a ledger to record all transactions and operations of Identify3D applications. We chose the IBM Blockchain Platform Starter Plan due to the extensive security built into Hyperledger Fabric which provides for flexibility in permissioning of transactions and deployment of new peers. In addition, the IBM development tools allow for streamlined deployment and testing of blockchain structures.